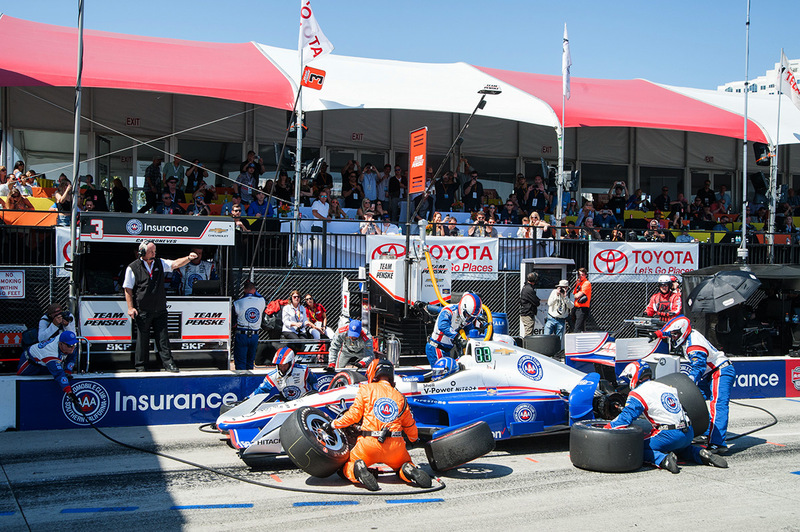 You’re just a few feet away from all the frenetic action that takes place when the cars dive in for critical pit stops. 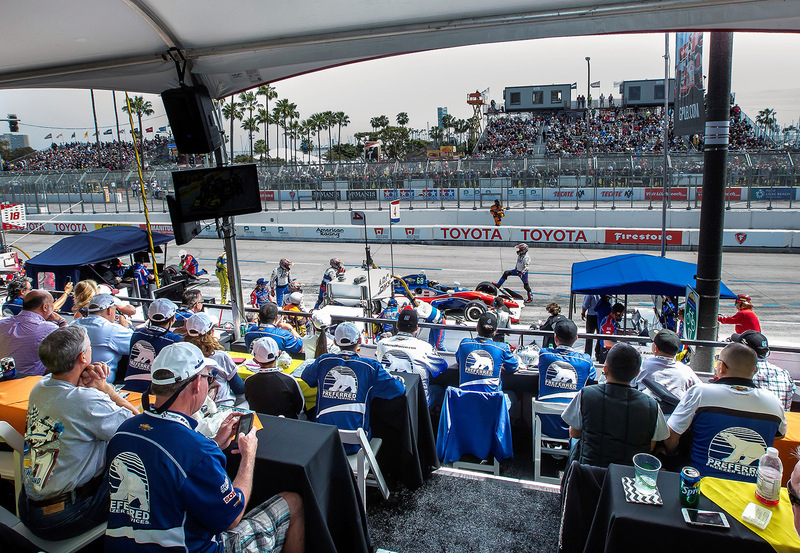 You’re front-and-center as the cars roar by on the front straightaway – the fastest part of the circuit. All this and fine dining, too! 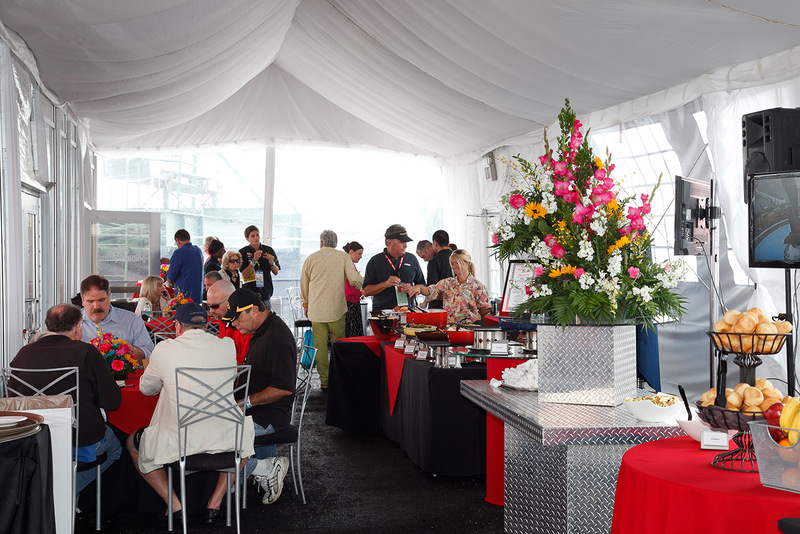 Elevated 12’ above the track, the Pit Row Suites are the ultimate race weekend hospitality option featuring comfortable terraced seating overlooking all the pit lane action. Buffet, bar and seating are on the same level and an enclosed lounge area with French doors and windows with TV monitors. Thirty (30) Friday, Saturday, & Sunday passes with circuit admission. Allows up to 90 different individuals over a 3-day race weekend. Up to fifteen (15) additional suites passes for each day may be purchased. Call for details. Up to 9 hours of Pit Access during posted times over a 3-day race weekend (18 yrs. +). 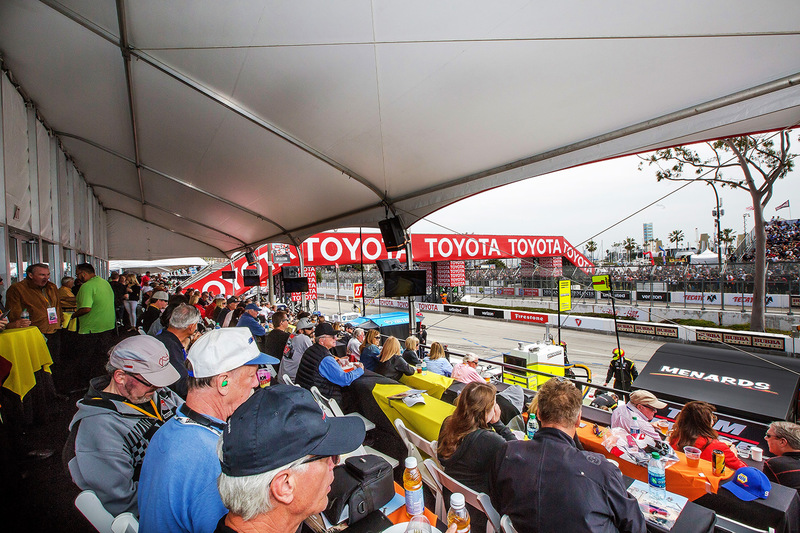 Exclusive access to purchase Overpasses for Pit Access during practice, qualifying and up to 30 minutes before the start of the Verizon IndyCar Series race. 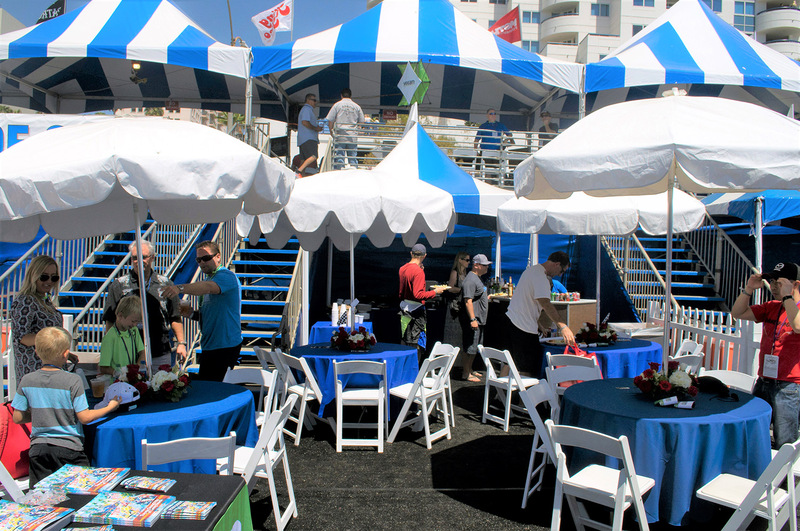 Three (3) complimentary VIP Marina parking passes directly across from the suites for each day. Three (3) complimentary VIP Terrace parking lot access for each day. Thirty (30) Fan Guides highlighting all the race week activities. Company logo identification outside of private suite doors. 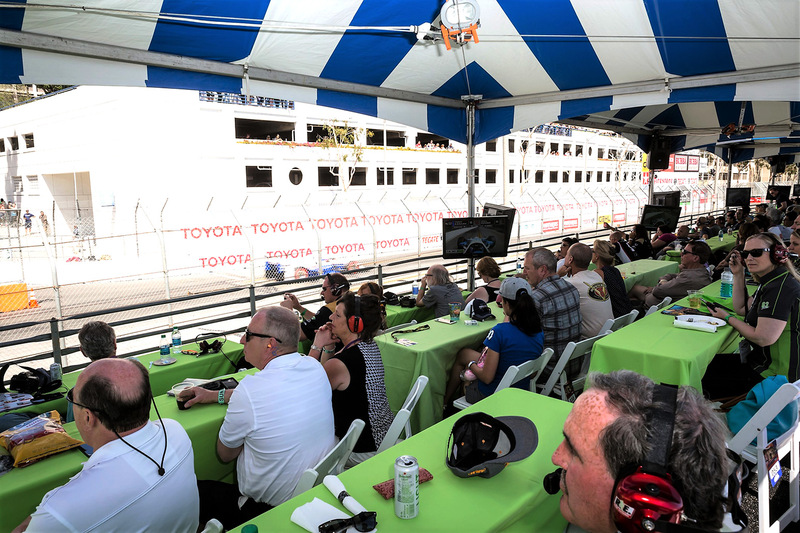 Private terrace outdoor seating overlooking the pits with enclosed air-conditioned upscale lounge area that includes flat-screen televisions with live feed. Deluxe floral arrangements throughout the lounge and buffet areas. 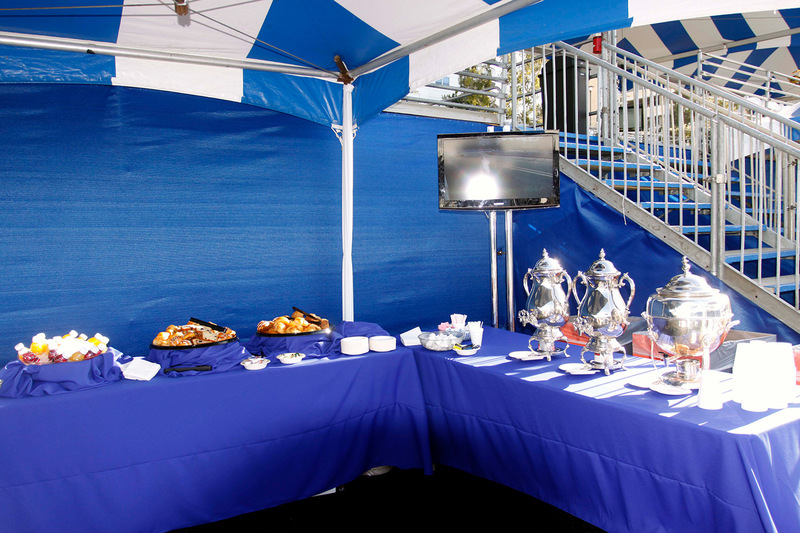 Post-Race champagne and hors d’oeuvres reception on Sunday. In-suite waitress service for all 3 days. Complimentary gourmet deli lunch served on Friday, fine dining served Saturday and Sunday including steak & lobster on Sunday. 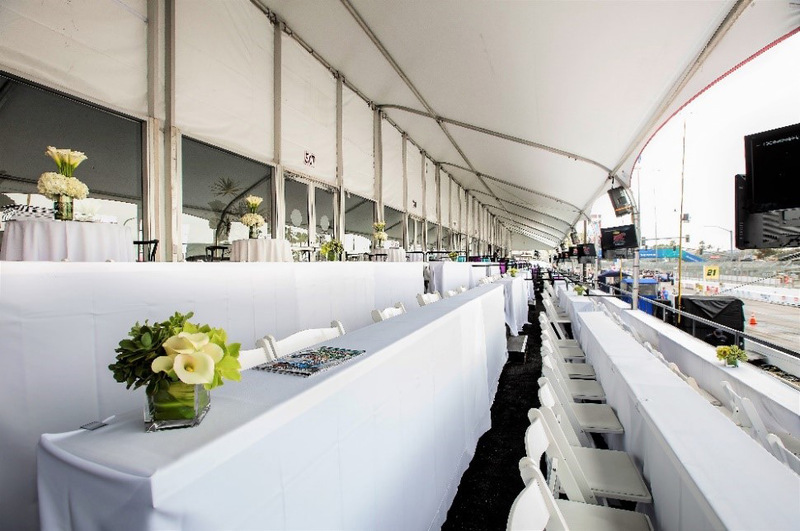 Extraordinary value in one of the hottest racing action spots on the circuit! Elevated and canopied, the Seaside Suites feature incredible views of the circuit as the cars race along the back straight, through Turns 9 & 10 on their way to the tight hairpin and high-speed front straightaway! Twenty-five (25) Friday, Saturday, & Sunday Seaside Suite passes with circuit admission. 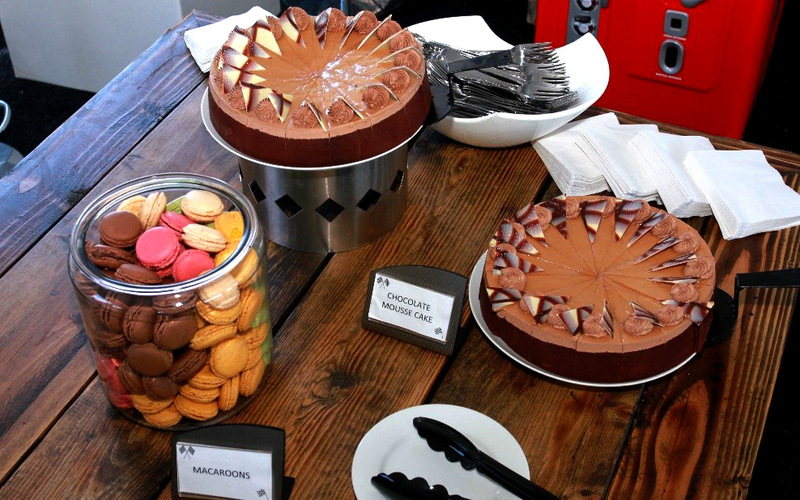 Allows up to 75 different individuals over a 3-day race weekend. Up to fifteen (15) additional suite passes for each day may be purchased. 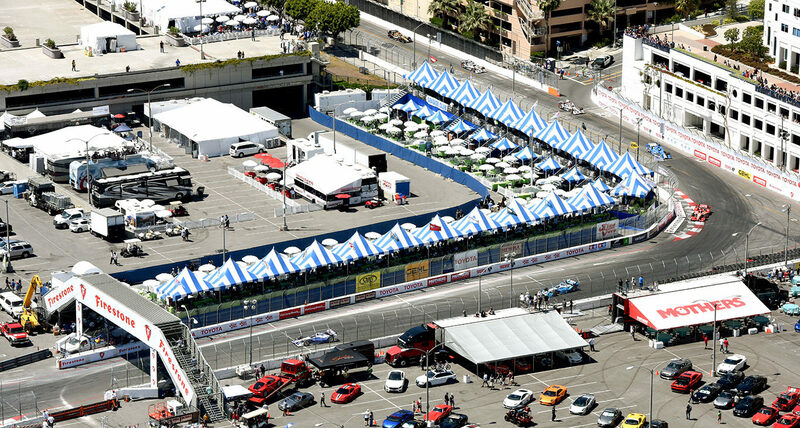 NTT IndyCar Paddock access is included for each individual day. Two (2) complimentary VIP Terrace parking lot access for each day. Two (2) complimentary Shoreline parking lot access for each day. 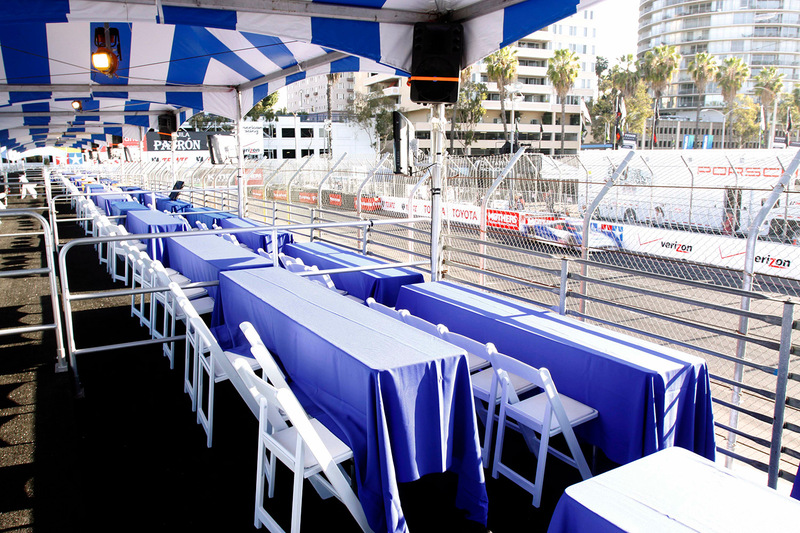 Twenty-five (25) Fan Guides highlighting all the race week activities. Company logo identification outside of the private suite entrance. 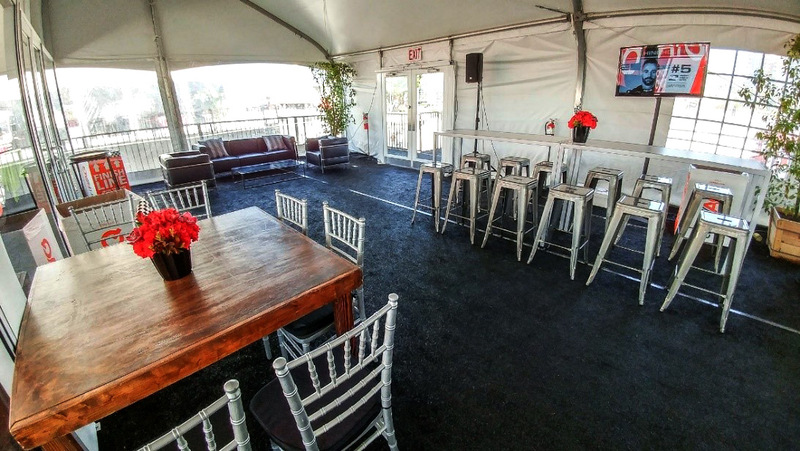 Private terrace outdoor seating overlooking the track. 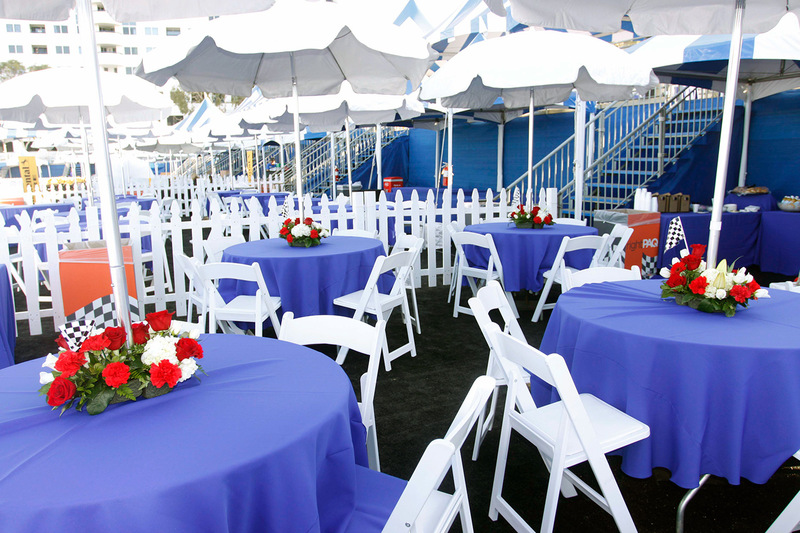 Private open-air picketed fence hospitality patio area which includes four round umbrella tables; 32 white wood chairs; reception table; two banquet tables, and black turf. 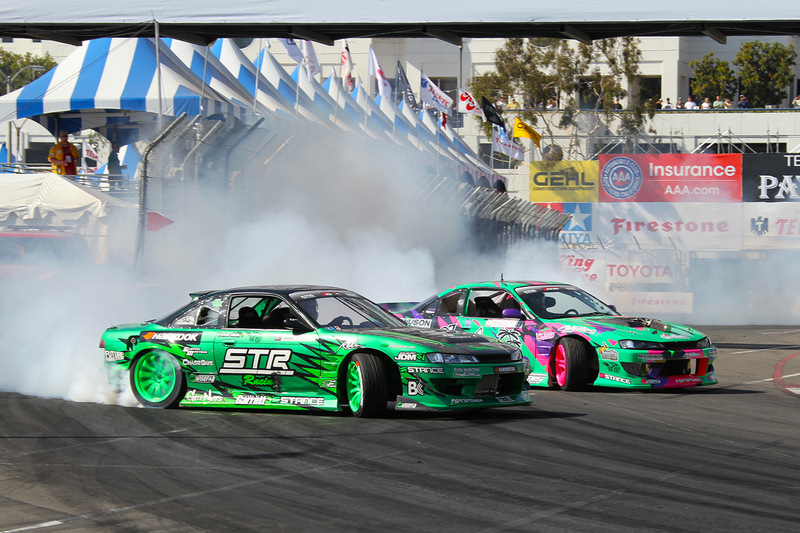 Enjoy the Motegi Racing Super Drift Challenge on Friday & Saturday evening and see the action from your Suite. 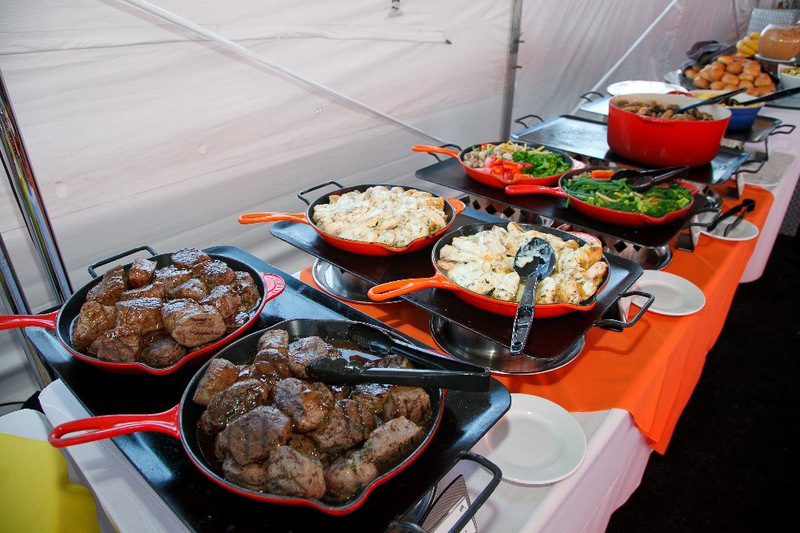 Catering and beverage service is additional. (Turn key package available – Call for details). Located right above the critical Turn 9, one of the best passing spots on the circuit with plenty of action as the cars gear down, then speed up going into Turn 10! Seaside Corner Suites include the same amenities as Seaside Suites. 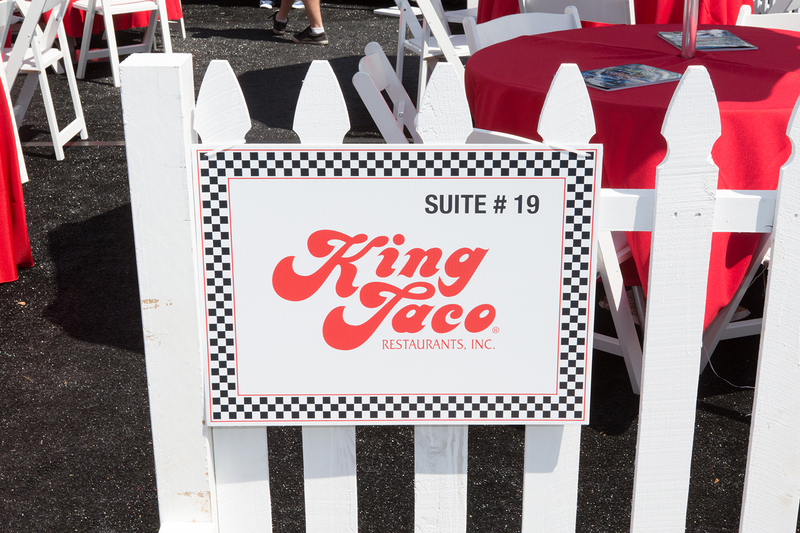 Click here to download trackside suite information! For more information or to reserve a suite, contact Richard Martinez, (562) 490-4530 or [email protected].